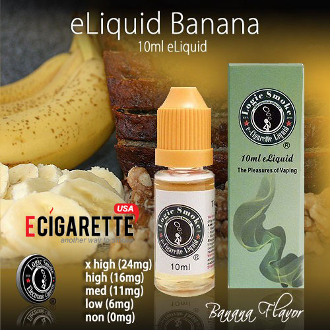 Logic Smoke Banana flavor e juice vapor can take you back to childhood with its scrumptious, candy-like, tree-ripened flavor of bananas. There's no misunderstanding this flavor! Achieve even more satisfying flavors by combining it with other Logic Smoke flavors like cheesecake and chocolate for a tasty after dinner treat. The probabilities are numerous!